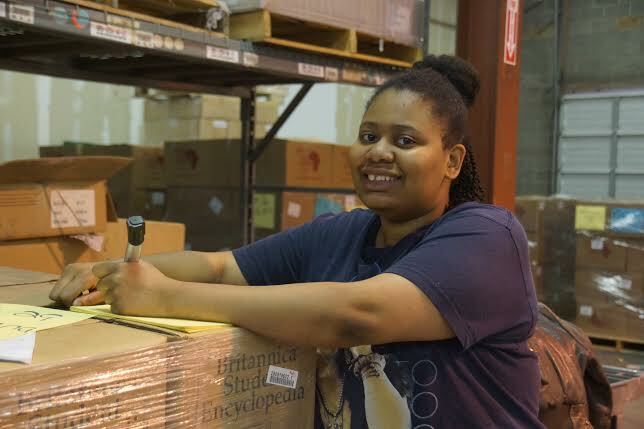 The container, full of books, left the Atlanta GA warehouse on April 29th on its way to Savnannah Georgia and on to Botswana. 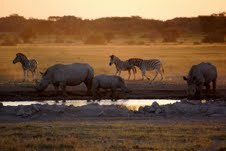 The ETA in Gaborone is early June... stay tuned for arrival information. Great news! 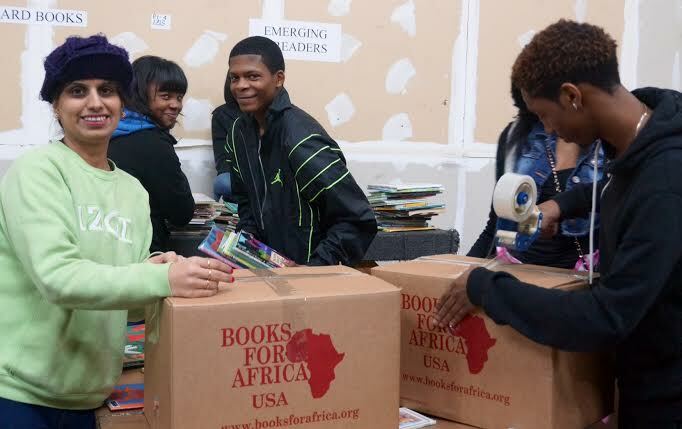 The Lillian Goldman Charitable Trust has granted the Botswana Book Project the additional $7,000.00 needed to pay the shipping on another container of books. 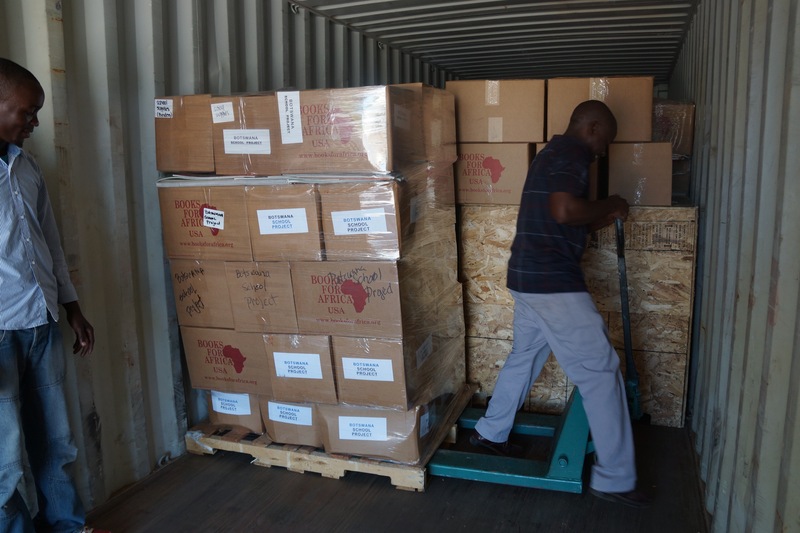 On behalf of the children of Botswana, I wish to thank the Trust and all of the individual donors who have made this shipment possible. 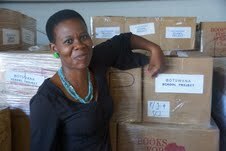 We are busy setting up an ETA of early June for the books to arrive in Gaborone, which means packing the container in April. 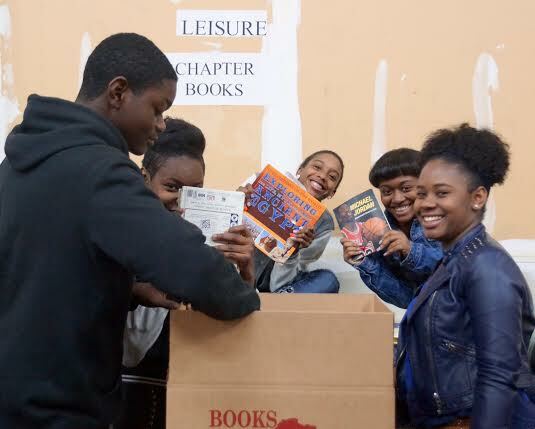 We have requested 17 pallets of K-8 assorted leisure reading and then a pallet of High School leisure reading. 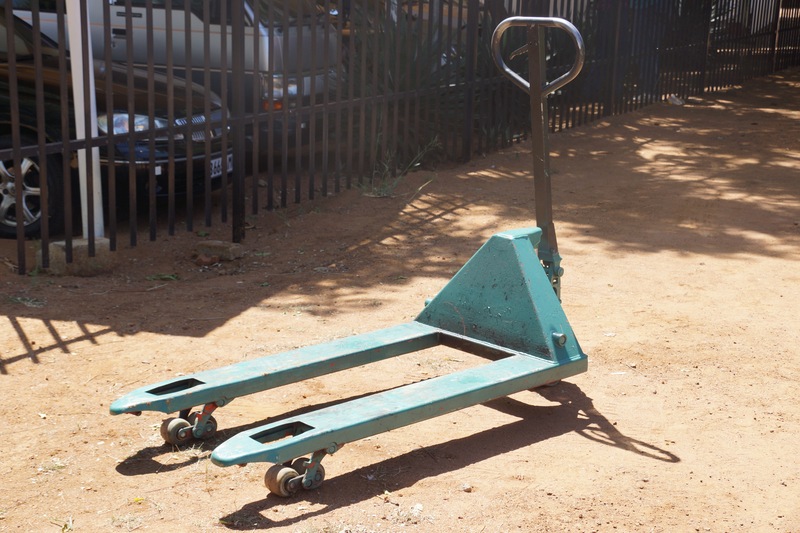 The remaining 2 pallets will be packed for IED in Gaborone. The IED is paying the costs of customs and clearing in Gaborone for the container. 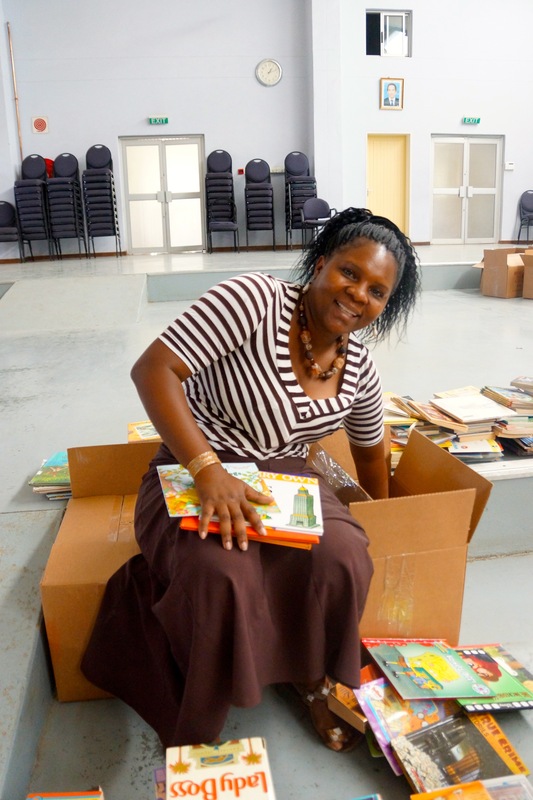 Schools and charities in Botswana wishing to receive books can contact Botswana Book Project Partner, Christine Loabile, Head at Baobab School in Gaborone to be added as recipients. 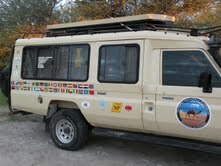 Pam is now in Botswana awaiting the arrival of the containers. 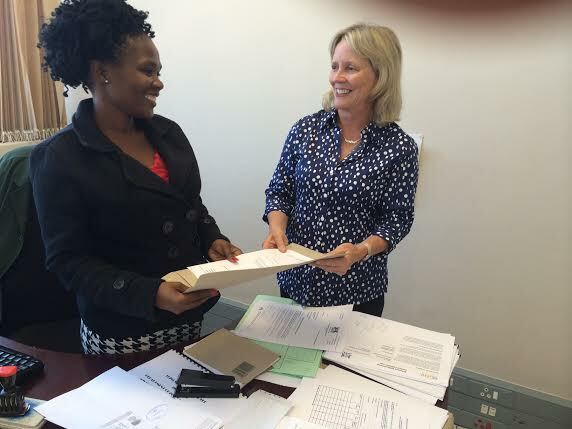 Pam received the government taxes rebate for the 500 solar lamps donated by Bourke Family Foundation. 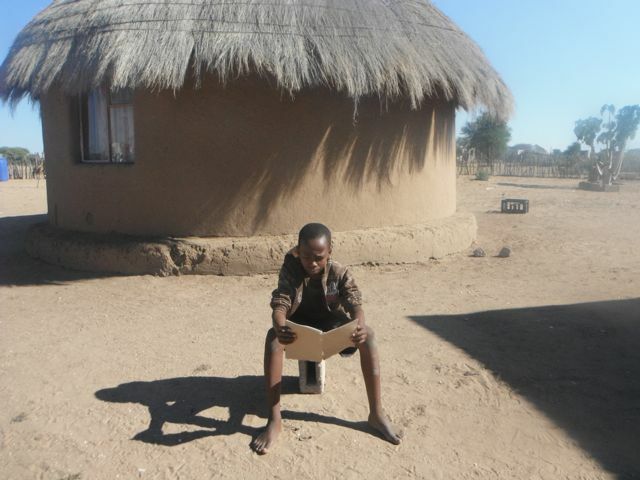 The lights are provided for students in rural areas in Botswana who do not have electricity in their huts to have light to do schoolwork at night. 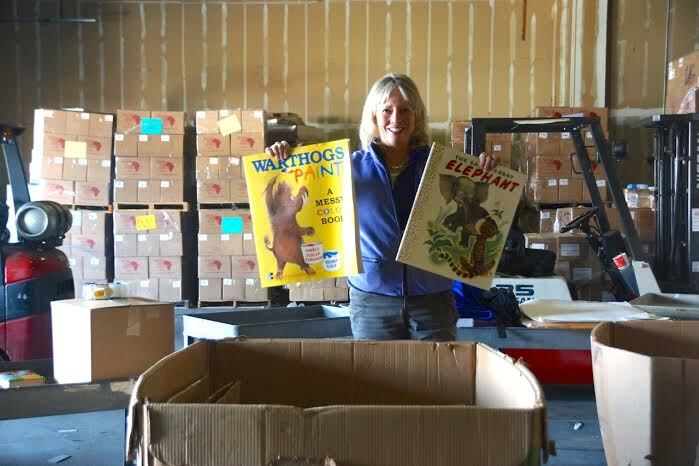 The two book containers made it safely to Antwerp where they are resting until April 12th when they depart by ship for Durban, South Africa. 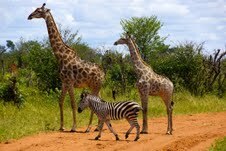 From Durban, the containers move by rail to Gaborone, Botswana, hopefully arriving by May 5th. 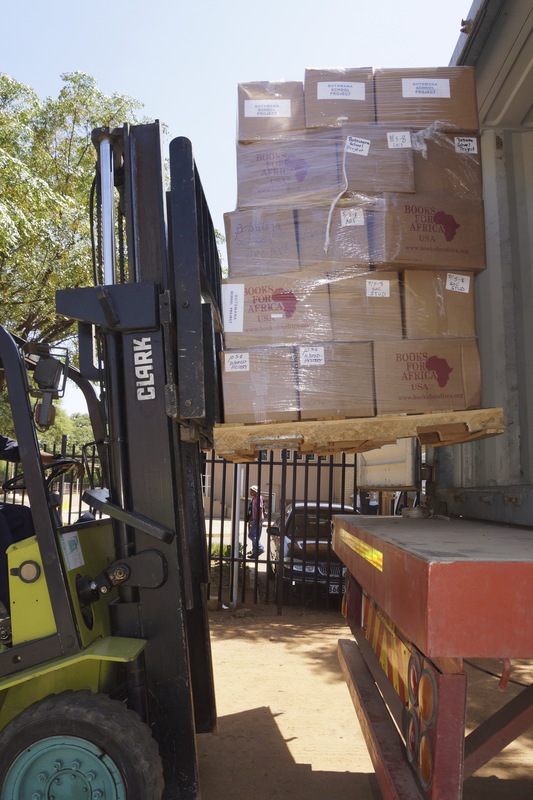 After clearing customs, they move by truck to Baobab Primary School, where a crew has been hired to move the books into the school auditorium. 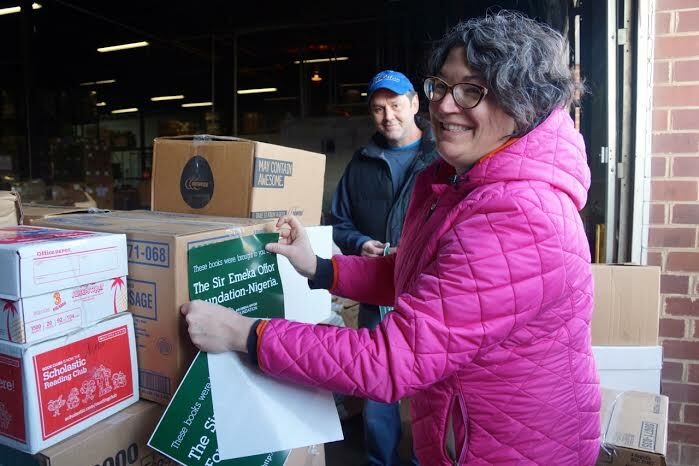 We will stack the boxes and piles of Big Books, and wrap a ribbon around a selection of boxes for our ribbon cutting ceremony. 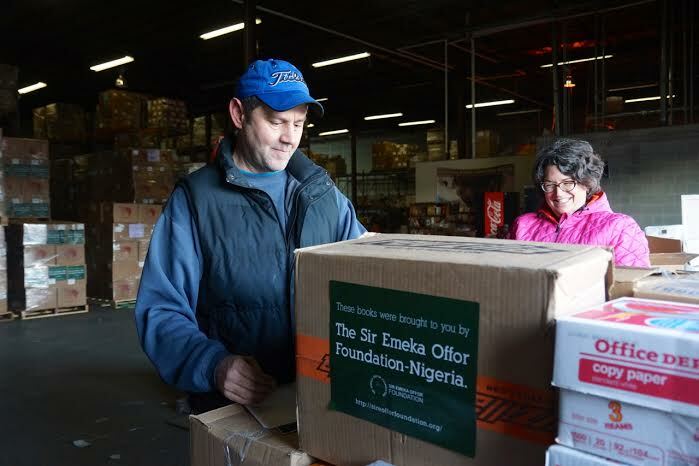 The reception (by invitation only) will be held on May 7th, to honor Sir Emeka Offor, the Nigerian Entrepreneur, who has generously covered the shipping costs for both (TWO!) 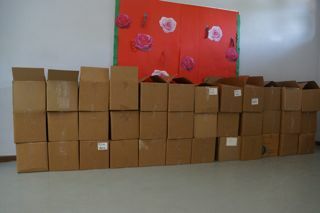 containers of children’s leisure reading books!! 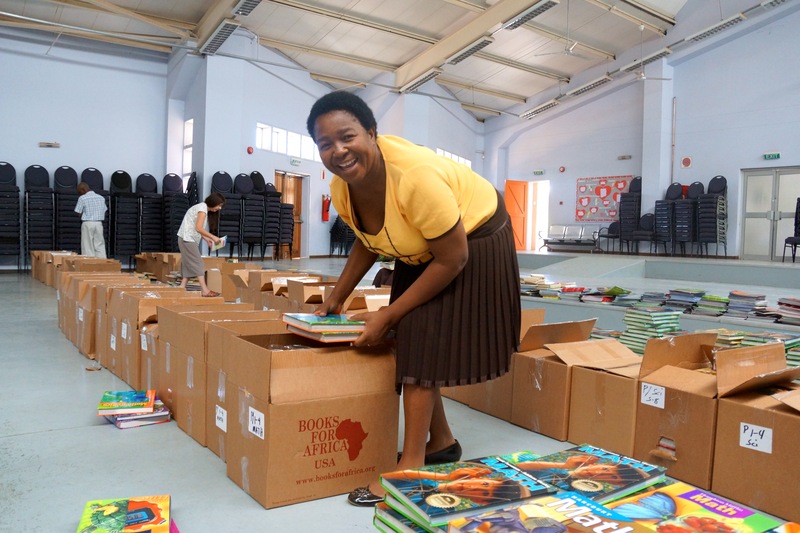 The recipients of books (over 88 schools as well as the National Library Book Box program which serves 98 rural village reading rooms) will collect their allocated boxes on May 8,9 & 12 at Baobab School. 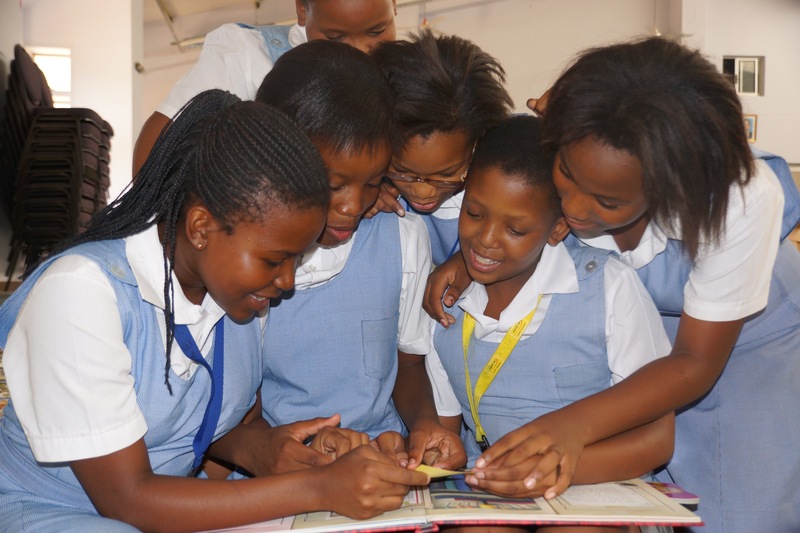 In three days, approx 60,000 children’s books will be placed throughout Botswana in many cases forming the first library in a village school. 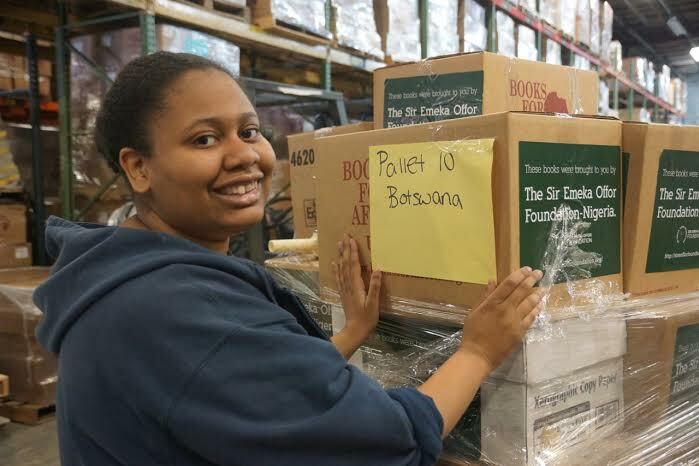 The 40 pallets of books for Botswana are packed! 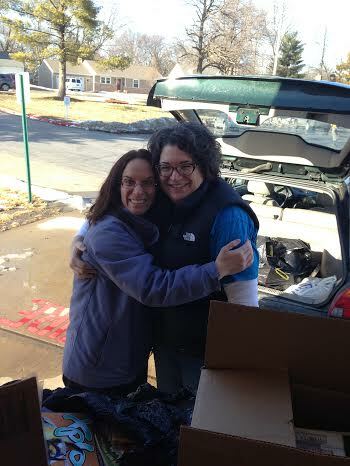 Thank you thank you to the fantastic warehouse staff and volunteers! 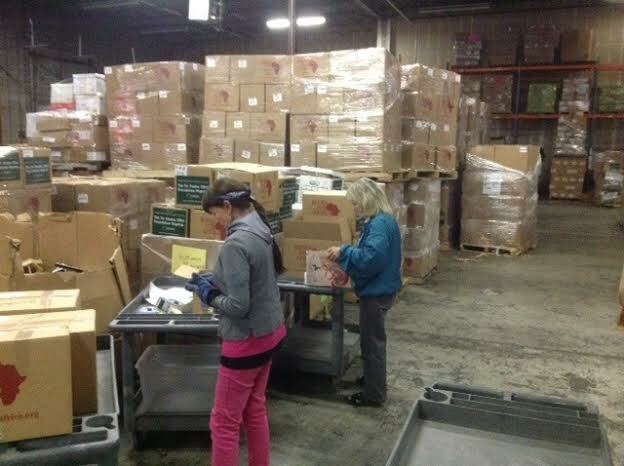 Here are some photos of the volunteers in Atlanta fillling boxes and loading pallets!! 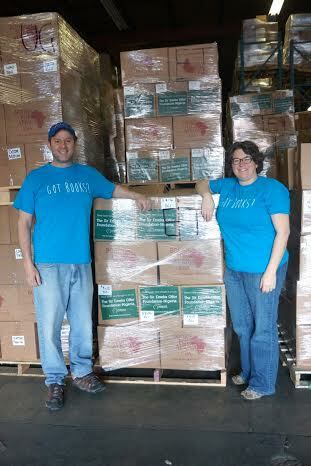 February 20 update.... 15 pallets full.... only 25 more to go!! 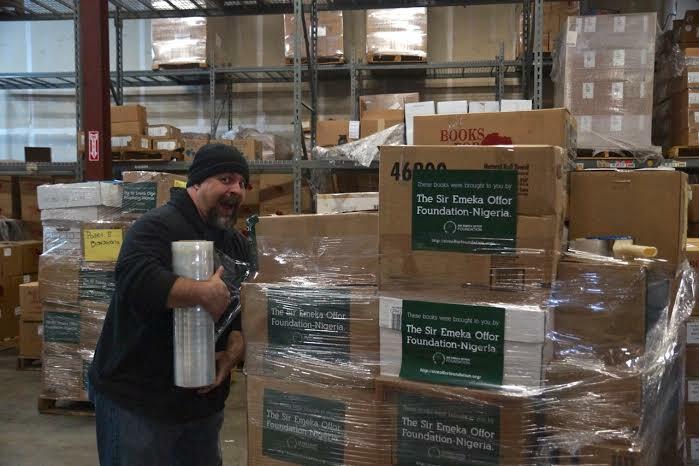 February 1-- The push is on to fill our two Botswana containers provided by the Sir Emeka Offor Foundation of Nigeria by March 10th. 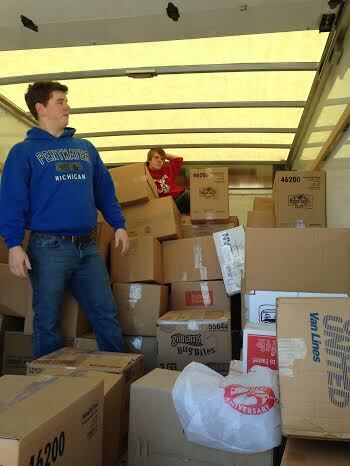 The containers can potentially hold 60,000 children's books. My first thought in January was, will there be enough leisure children's books? 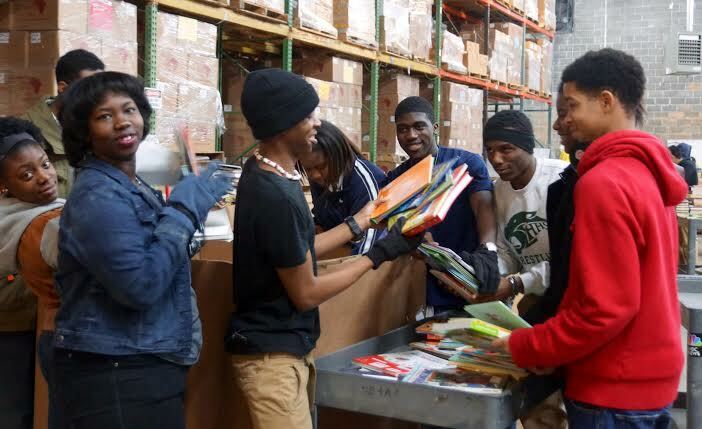 Then Kirkwood School in St Louis, Missouri stepped up to help....the High School group of students, led by their English teacher, Mrs Karen Ambuehl, put out the request "GOT BOOKS?" to their entire school district. 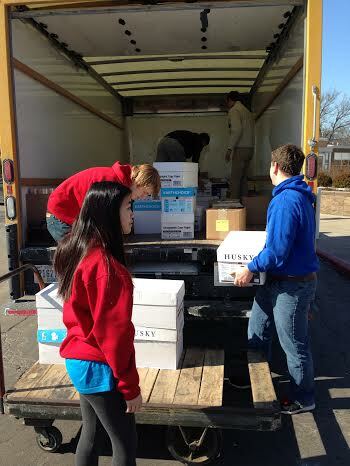 And the book donations came pouring in...TWENTY THREE THOUSAND books so far!!! 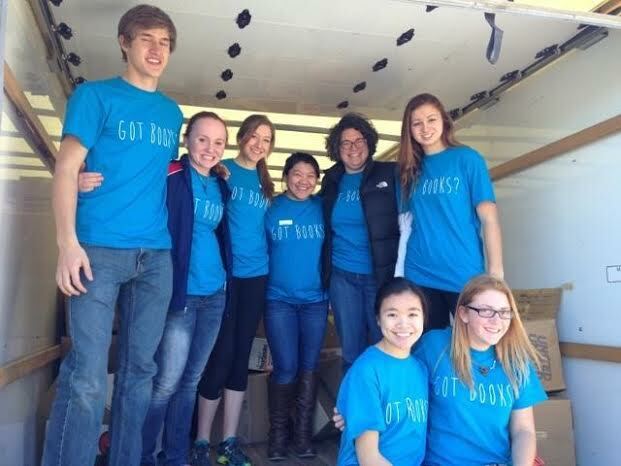 Then a 16 foot book truck was rented by Karen and her husband, who will drive it to the Books For Africa warehouse in Atlanta, GA on Sunday. I'd like to point out, none of this could ever have happened without Mr Tom Warth's vision of ending the Book Famine in Africa. 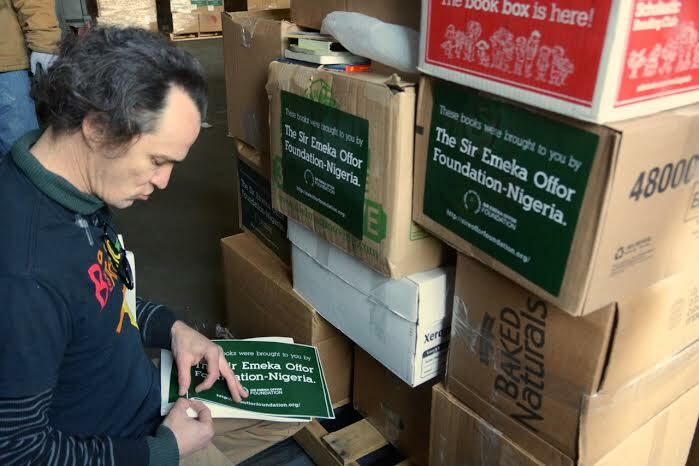 His creation of Books For Africa, which has guided every book container to Africa, enables projects like The Botswana Book Project, to get the books over to where they are so needed. All I can say is, this is America at it's best! 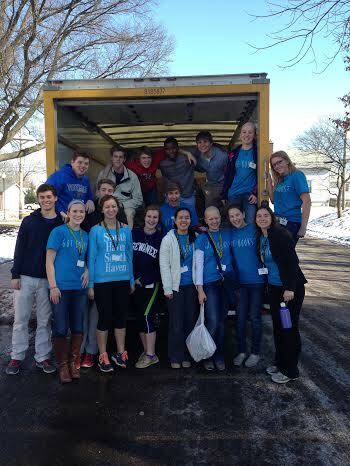 Thank you Kirkwood kids! 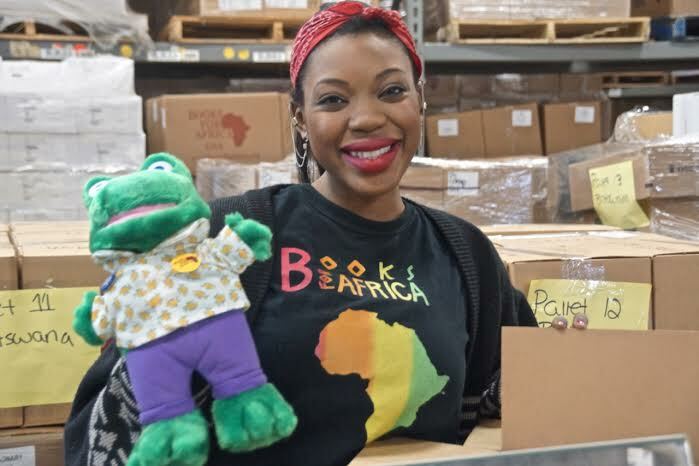 Thank you Books For Africa! 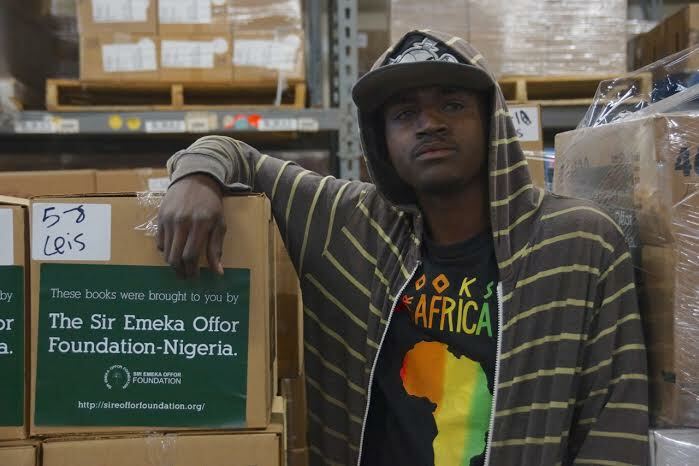 And thank you Sir Emeka Offor Foundation for providing Botswana with two containers! 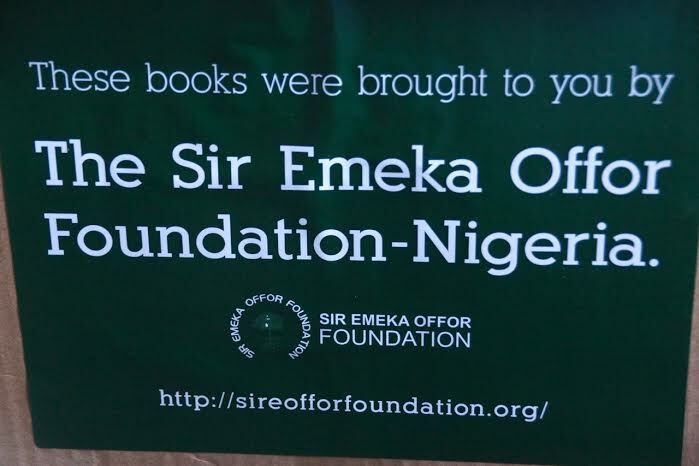 Books For Africa and the Sir Emeka Offor Foundation will provide the Botswana Book Project with two (2) 40- foot containers of books delivered to Gaborone port authority. 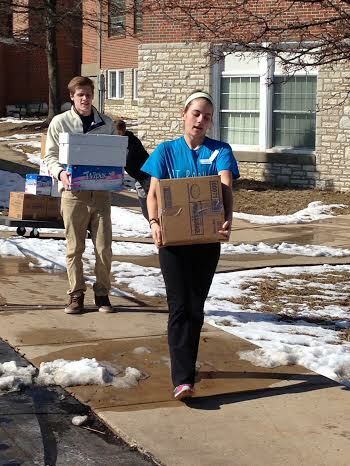 Stay tuned to find out the exact ETA, which will be sometime in April/May 2014. 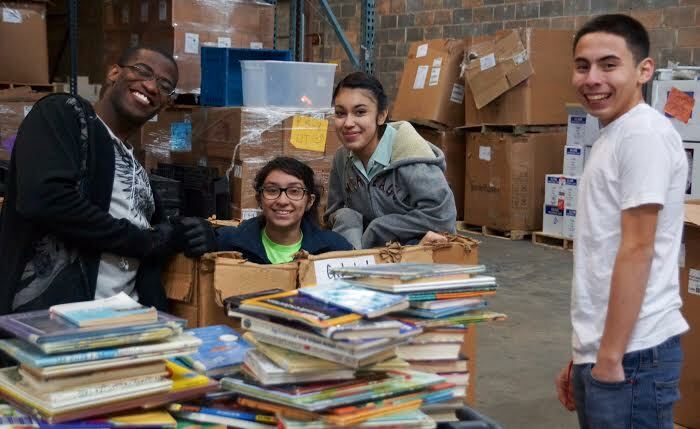 We will need as many gently used books (Toddler board books to Young Adult leisure reading, please!) 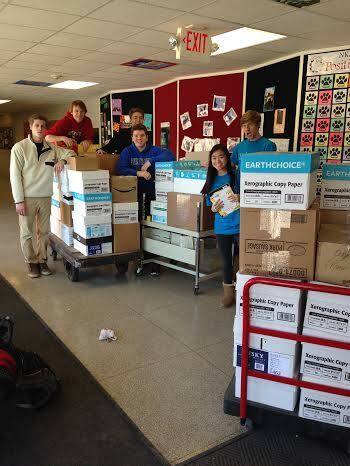 as we can collect and deliver to the Atlanta Books For Africa warehouse. 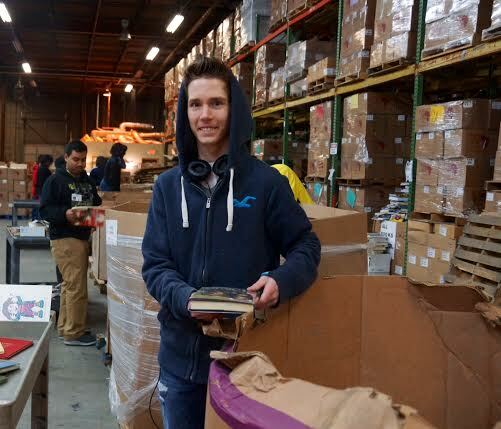 The book donations can arrive between January 1 to February 16th…can you help? 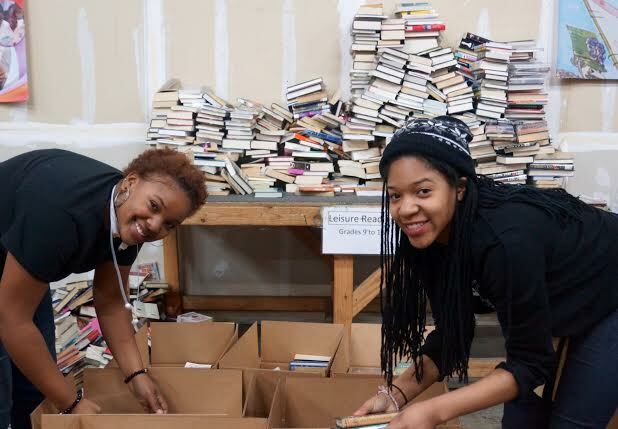 Please consider having a neighborhood (or school or church) Book Drive to help us collect the 50,000 books we hope to send! Write to me if you need more details! 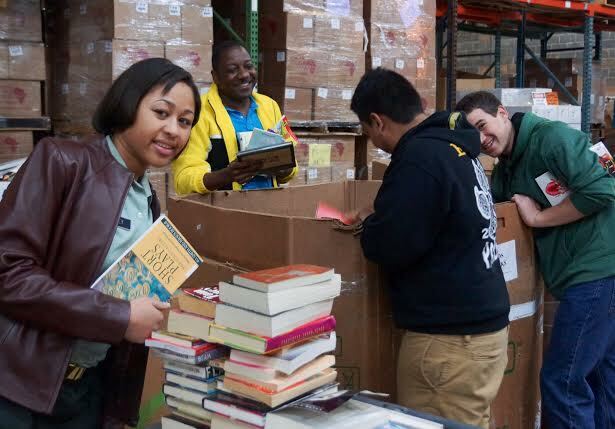 Donations are coming in and we are now at 15% of the cost to cover shipping another container of books in 2014. 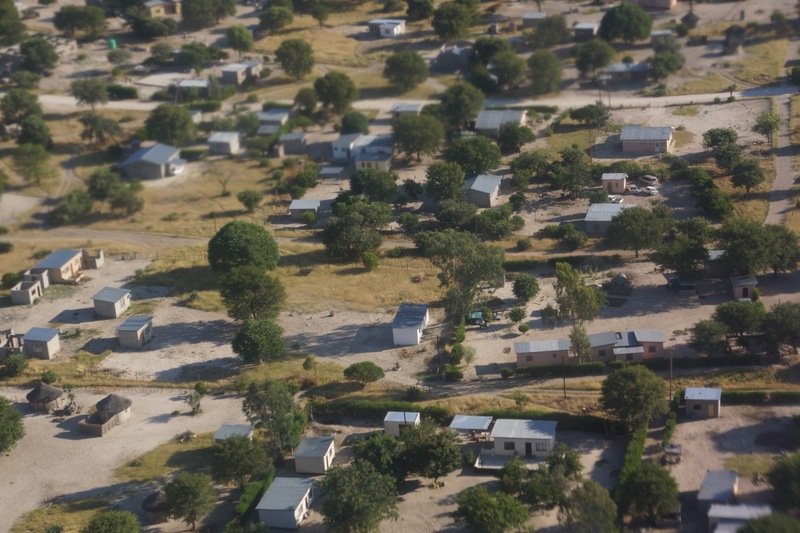 The name of my village is Kgope and we are about 60k from Gaborone. Although we are that close, we don’t have electricity or publictransportation. 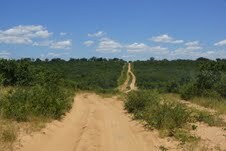 Kgope is a small village that was formed when people started living at their lands (farms). 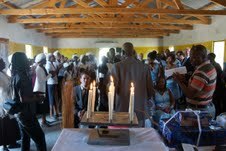 There are less than 600 people in Kgope, and around 160 students at the primary school. 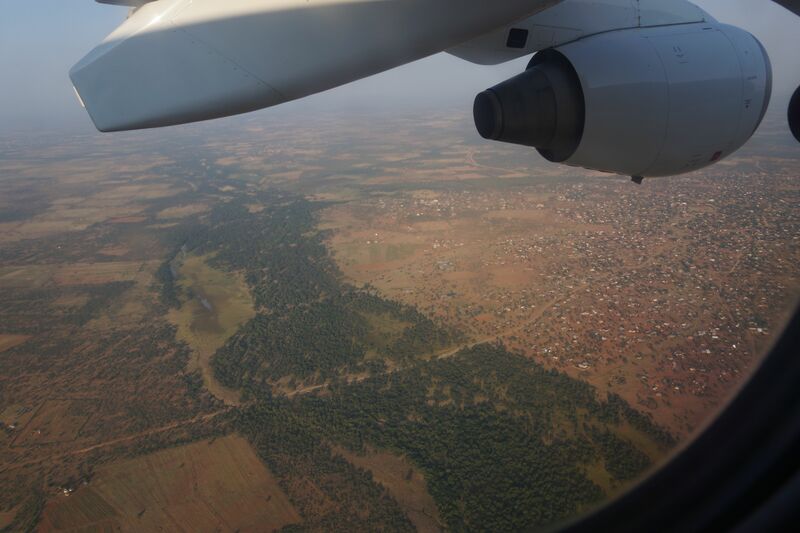 Kgope is extremely spread out, since it is mostly farms. 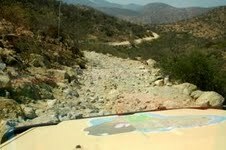 Many children have to walk long distances to get to school. The school has nine classrooms and seven of them are in use. 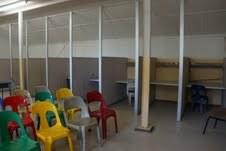 One of the extra classrooms has been made into a library. 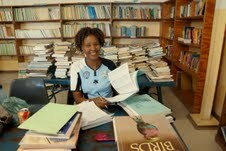 When I arrived in Kgope in November 2012 the library was very disorganized and unused. There were over 1,000 books but many were very old, or there would be twenty copies of the same book. 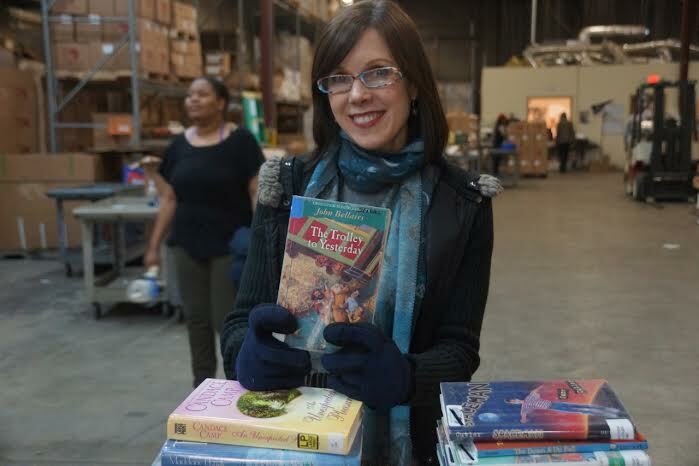 Many of the books were in the storerooms, but even some on the shelves showed signs of termites. 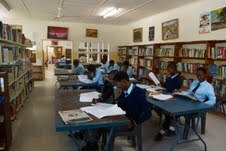 The books on the shelves were mixed up with English, Setswana, textbooks, and teacher’s guides all sharing the same shelves. 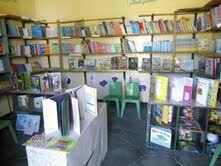 The shelves were arranged with their backs to the door making the library very uninviting and it hard to see the books. Only teachers met in the library, and even they didn’t touch the books. reading. There are students as high as standard 6 that can’t read atall. The more I went through the books, the more I realized we were missing the books we needed the most – the lowest level, beginner books. 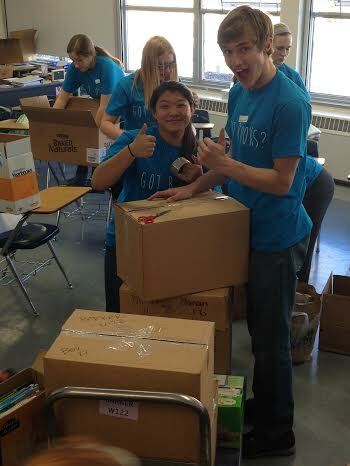 As the kids saw me working on the library, they came in to help. 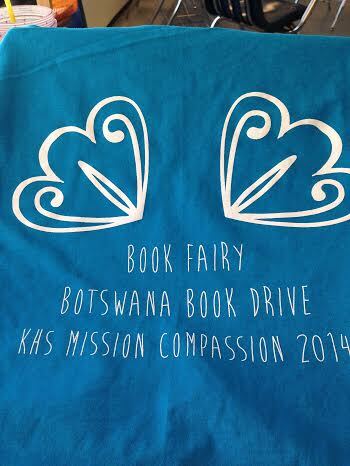 On February 22nd, the first book ever was borrowed from Kgope Primary School library. 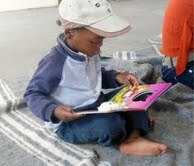 At that time the older kids would trickle into the library, but it was still being organized. 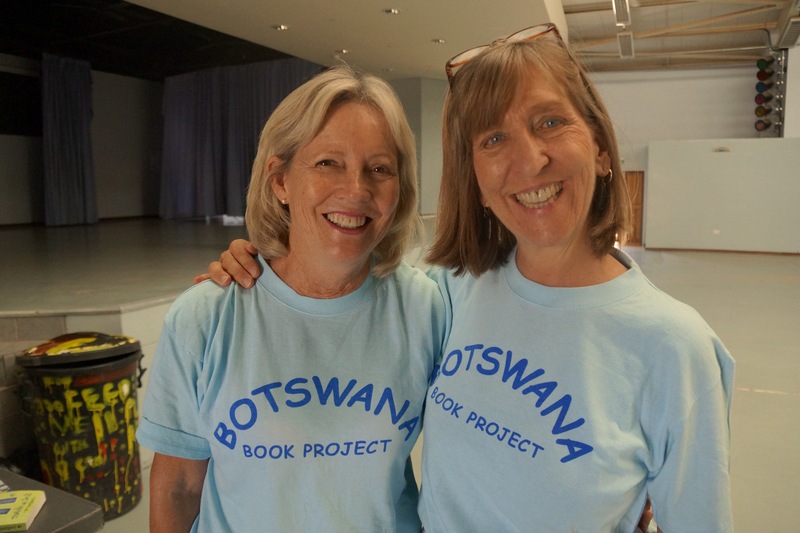 Getting the books from Botswana Book Project on March 22, 2013 made a huge difference. 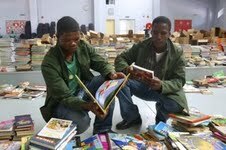 Kids were coming into the library just to watch the books being unpacked. For a week I tried to sort the books by level, but was unable to because the kids couldn’t resist picking up books to look at. 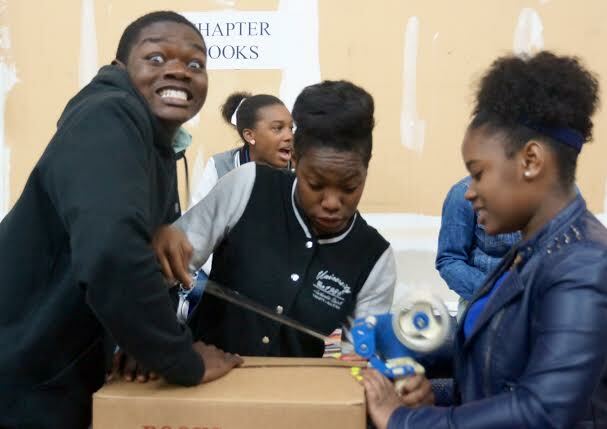 They had never seen books with movable parts before, and that was a big hit. Pop-up pages, googly-eyes, textured pages, everything was exciting. The other books were too. In a small village like Kgope the kids aren’t exposed to many things. 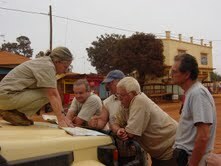 Through the books they can see vehicles, animals, and other things they otherwise might never experience. 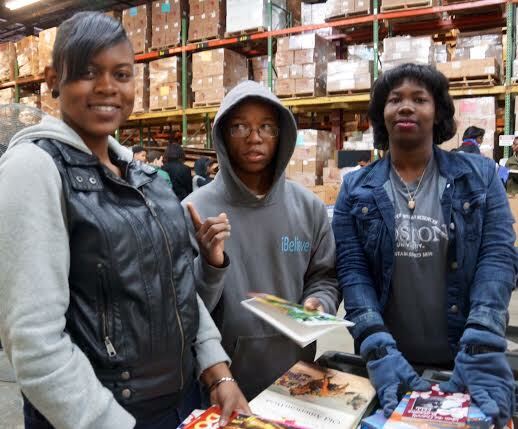 Some of the most popular books are the Where’s Waldo books, because even kids who can’t read are able to enjoy books like that. Can You See What I See books are another way kids can enjoy finding items in pictures, while also building their vocabulary. Last week I came to school in the afternoon and had children following me into the library (they can’t be inside without a teacher/adult). After five minutes I counted and there were twenty-four students! That just shows how much they love being in the library. 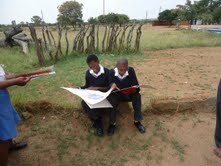 We also received some flash cards from Botswana Book Project that are fantastic. They have a big picture on the front and the word on the back. The kids love playing with them, and they are really helping their vocabulary. 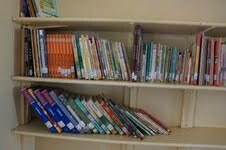 Last week sixty-three books were borrowed from the library. 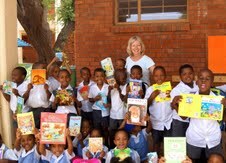 Forty-three of those books were ones received through the Botswana Book Project. 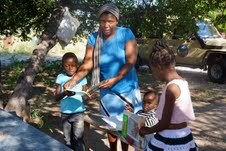 Kids in Kgope now have books to read at night and over the weekend when they would otherwise be sitting at home, probably doing chores like watching livestock, or hauling water. 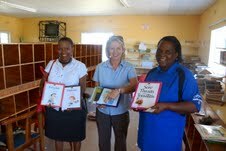 I cannot say enough, what a positive impact these books are having on the school and the children. I will send a separate email regarding the Lights for Literacy. Thank you so much for your commitment to this project. 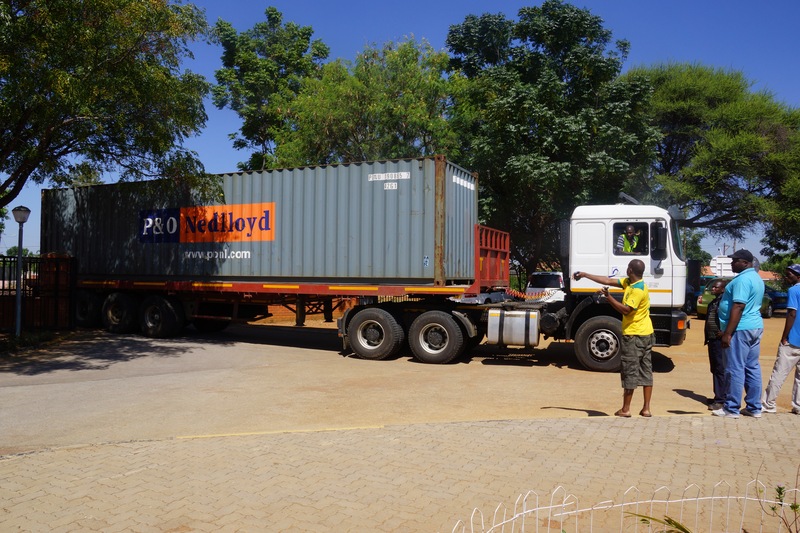 The container arrived at Gaborone Port on March 17th, Sunday. 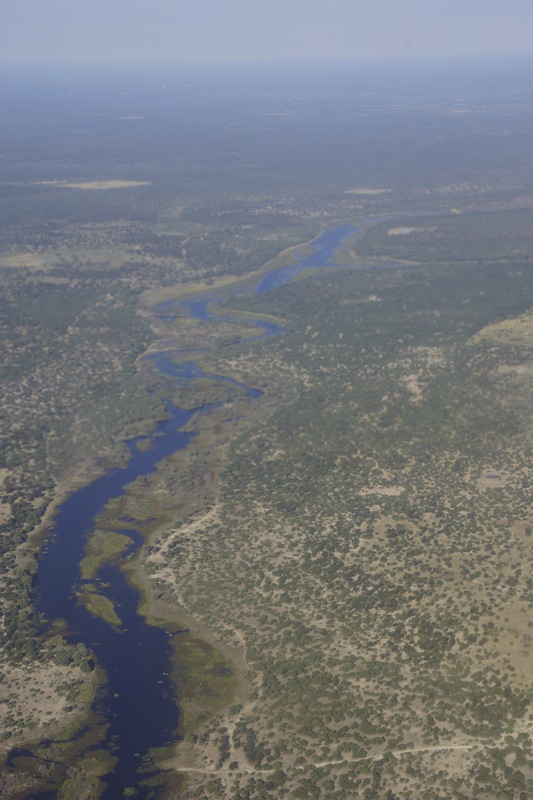 I was still in Maun, a village in the north, but I immediately flew Air Botswana to Gaborone. 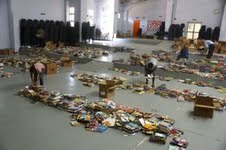 Monday morning, at 7:00AM, I began the clearance procedures. I had hired a clearing agent recommended by GABCON who helped me pay the fees. 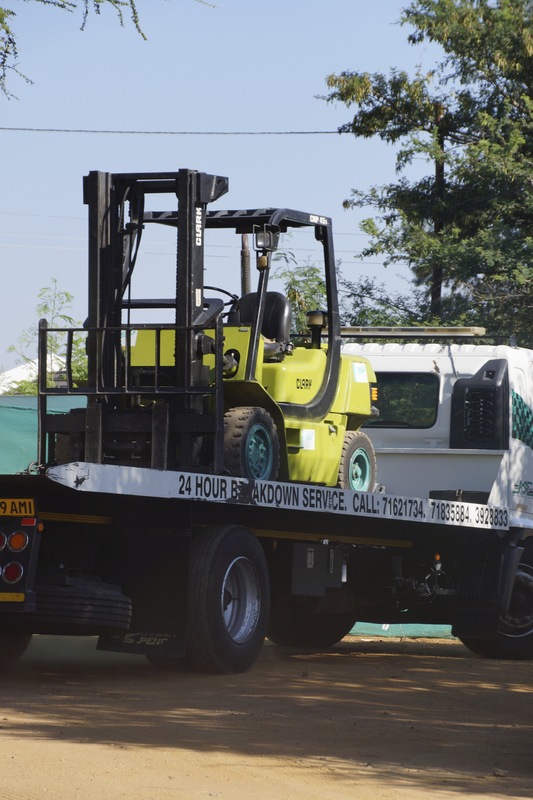 I paid GABCON an extra fee, which they assured me would ensure that my container would be delivered before 9:00AM the following morning by a special truck that could put our container on the ground for the time we needed to offload. 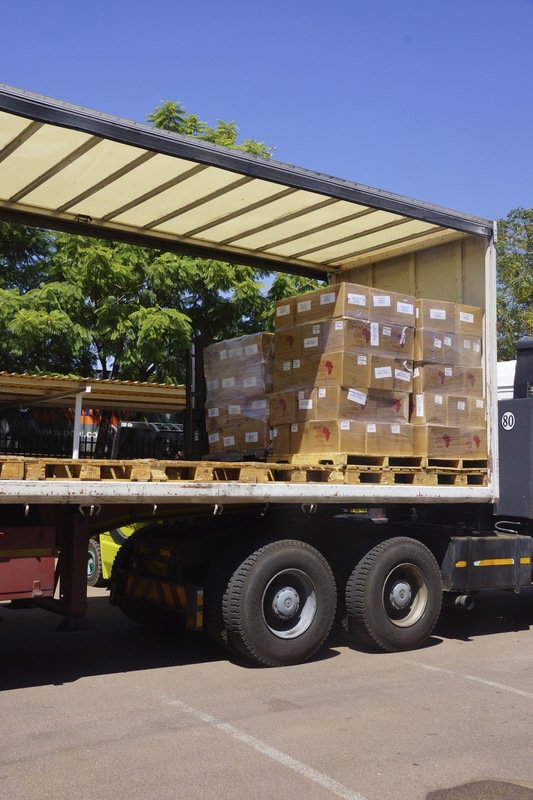 This was important because half the shipment needed to be removed from the container by forklift and loaded onto a Mulbridge truck for the Botswana School Project. 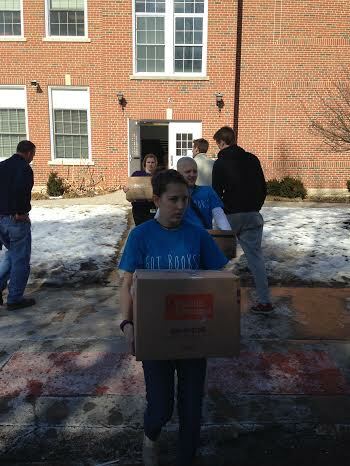 The School Project needed their 10 pallets (the ones closest to the door!) 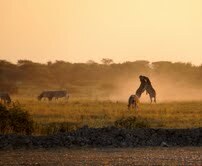 to be delivered to Maun, a village in the north. 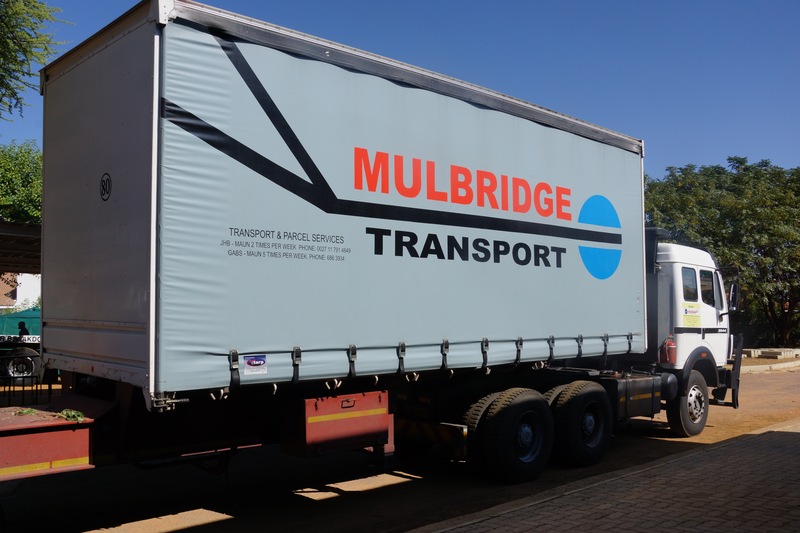 This special truck would enable the forklift to transport the ten pallets easily out of the container onto the Mulbridge truck. Sounds good, right? but no sight of the GABCON truck with our container! 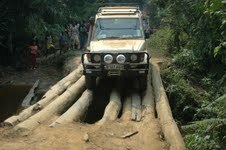 After many frantic phone calls, I was told to hire another private truck to deliver the container as GABCON truck was broken. 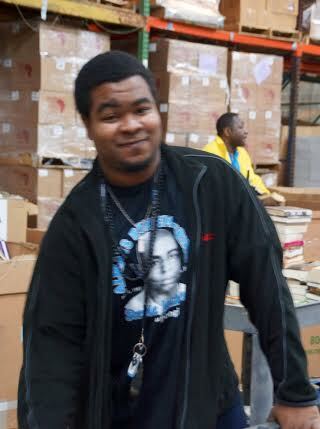 At just before 11:00AM, the container arrived but the new truck did not have the ability to put the container on the ground so a quick call to WPH and they sent us a special fork trolley that moves the pallets located away from the door, close enough for our forklift to pick them up at the doorway and move them to the Mulbridge truck. 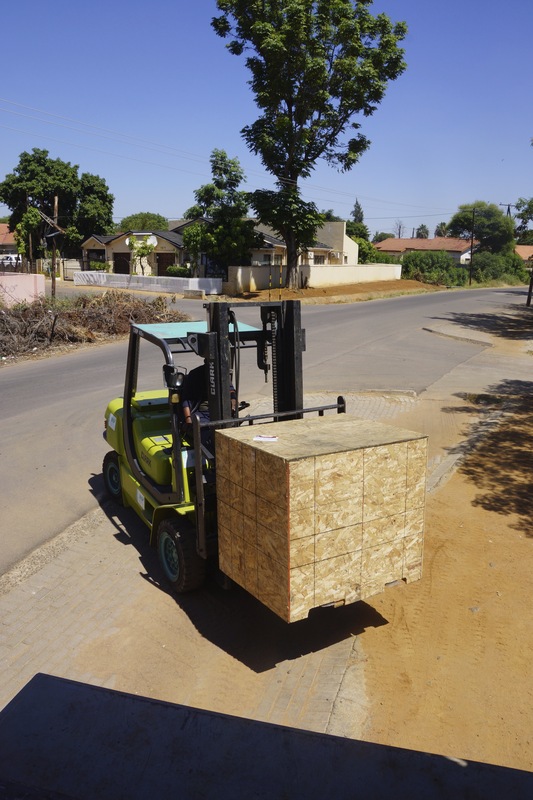 The forklift also took the crate with the wheelchair and loaded it on the truck to Maun. 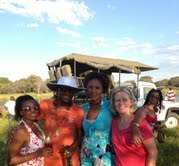 Christine Loabile (head at Baobab School and BBP partner) and I cheered as the various trucks headed off! 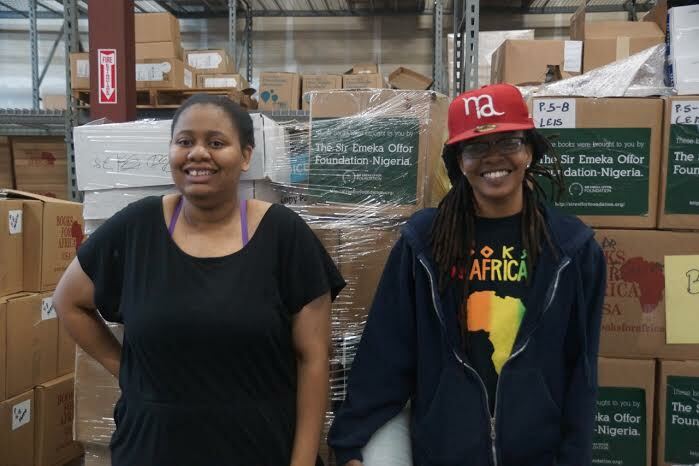 I had hired six casual laborers to assist in unloading the Baobab School pallets and putting boxes in rows on the floor of the hall, as we have done in the past. 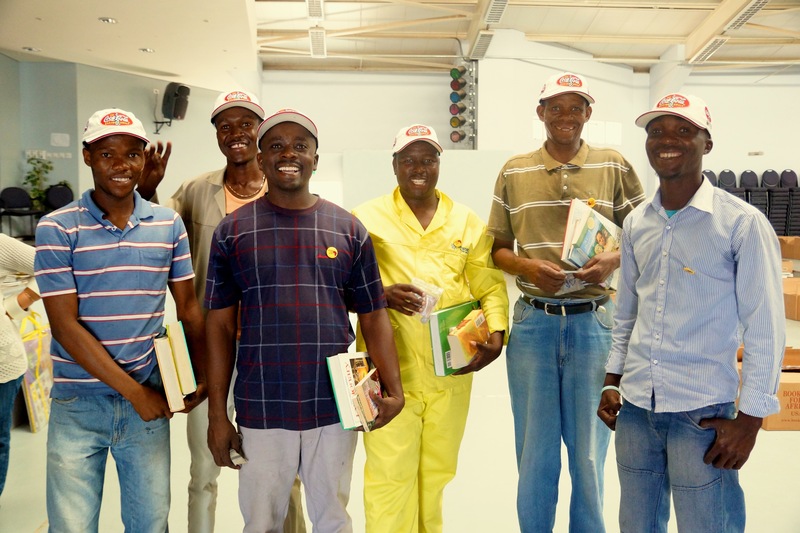 The workmen were thrilled with extra gifts of Coke hats and books for their families. Most chose dictionaries and novels. 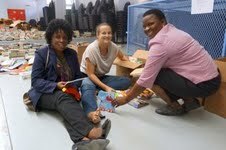 All afternoon and for the next two days, Baobab classroom teachers and Peace Corps volunteers combed the piles of books, selecting the ones they wanted for their classrooms and school libraries. 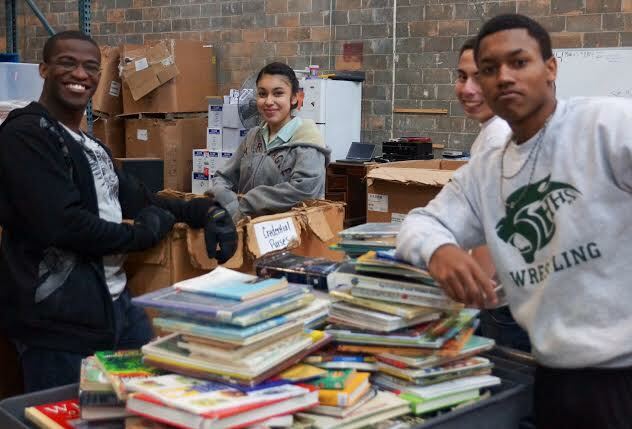 In the end, the only “leftovers” were the Math and Science textbooks that will be offered to area schools over the next weeks. 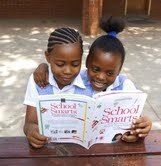 Botswana really wants leisure reading! Math and Science books leftover! 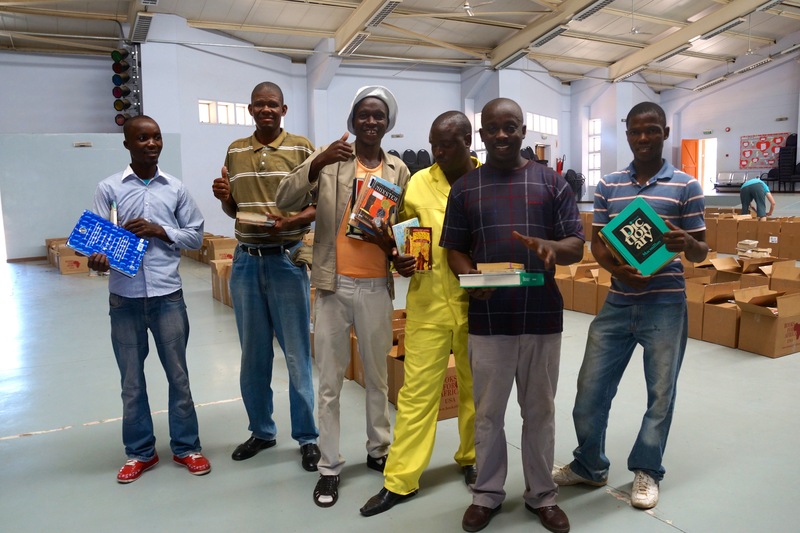 By Friday AM, I was on my way flying back to Maun to do the hand-over of the 10 School Project pallets and the wheelchair and negotiating their delivery…the books to Gaxabera School and the wheelchair to Thuso Rehabilitation Centre for Batsamai Bombom. The school librarian is organizing the books using Dewey Decimal system and putting home made paper spine labels on each book. 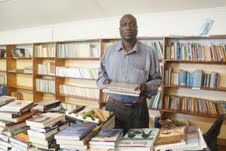 This is a newly emerging library, thanks to Botswana School Project. 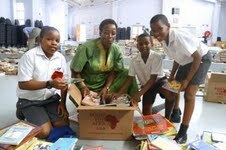 Then over to Maun Senior Secondary School Library where I donated my personal collection of 17 cartons of books I had purchased over the years concerning Africa…culture, wildlife, novels and more. I wanted these books to be available to Batswana to enjoy. 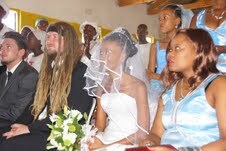 A blend of Batswana and German customs unite this beautiful wedding ceremony. 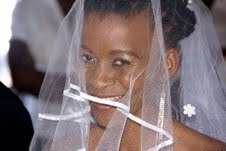 which I had just sold to a lovely couple in Gaborone. They will keep her on the road and not sitting for months in storage. 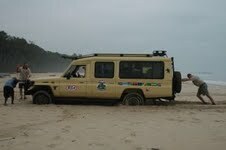 The CAMEL and I have had many adventures driving all over Africa and she will be sorely missed. The end of an era for me! 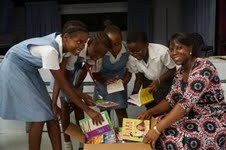 Hi Pam...I just wanted to thank you again for the wonderful book donation to the students in the village of Mabule. 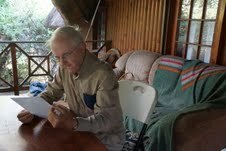 Everyone, including the Kgosi, the VDC Chairman, the school administrators, and others are all very grateful. 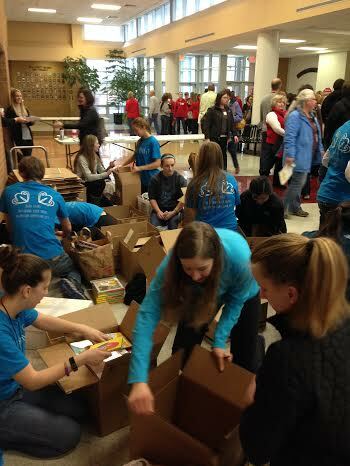 Attached are a few pictures of the books in action. The little kids are from the Maiteko Day Care Center and the Standard 2 kids are from Mabule Primary School. 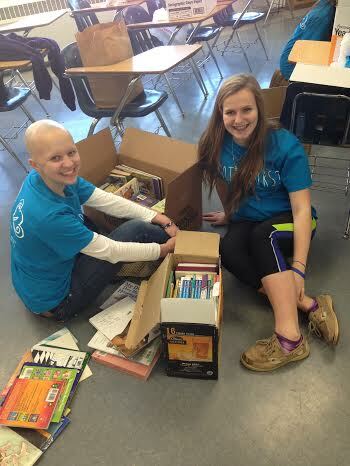 The library at MPS was fixed up to accommodate the new books that they received. It looks so cute now. 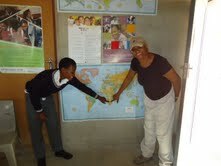 The librarian and Standard 2 teacher did a great job as you will see in the photos. 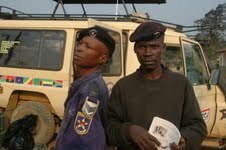 Thank you again on behalf of the village of Mabule." Hello there! 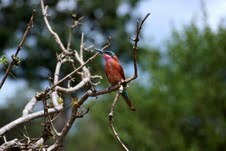 Kate Slisz here, the PCV from Serinane, Botswana. 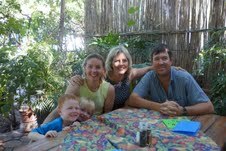 It was great meeting you at Baobab! Thanks again for all the amazing work you for that. 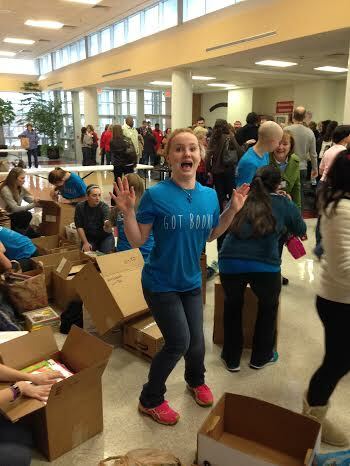 My school is so excited about the books! Our term one just ended, so I'll be working diligantly over break to get the library ready for when school opens in Mid-April. 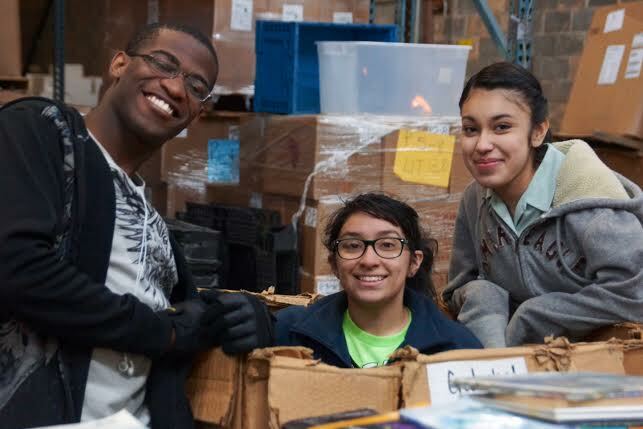 Anyways, I just wanted to let you know that I'll also be working on gathering that information for the "Lights for Literacy" project we spoke about, as well as the adopt-a-school initiative. Once I gather the necessary information, I will compile a report and send it your way. I really appreciate all you do. I can't thank you enough for helping me out. 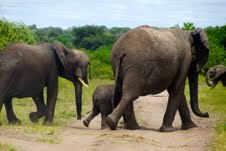 I hope your travels back to the states went smoothly and that you are enjoying your Easter holidays. I'll be in touch again soon. 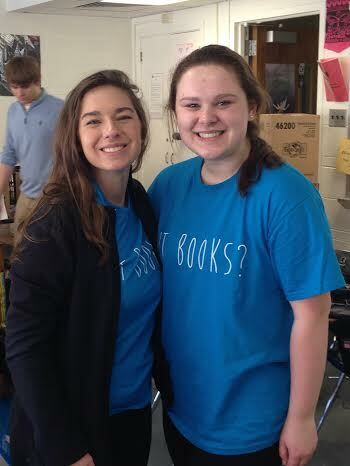 It was great meeting you a few weeks ago, and I can't say thank you enough for the great books. 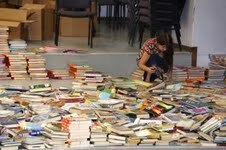 I'm desperately trying to get things organized while at the same time, wanting the kids to get to see the books. 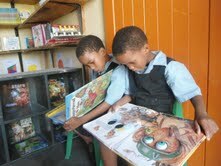 They were very excited and I had kids in the library ever afternoon since the books arrived. Now the school is on break so I'm going to try the color labeling system you suggested. 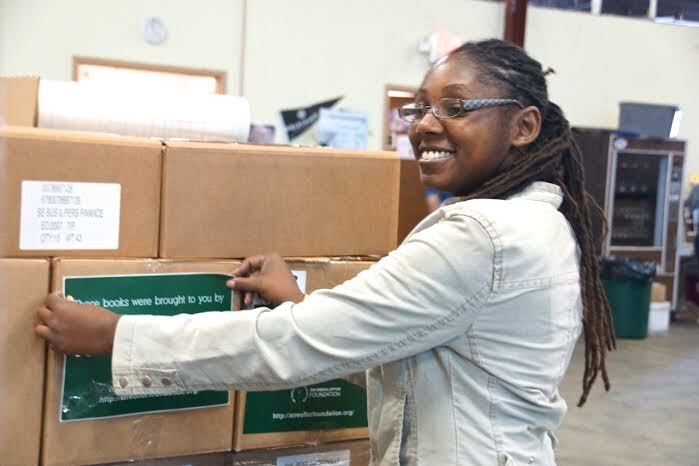 You also mentioned that if I requested the pockets libraries put in the back of the books with the due-date slips, that someone might see it on your website and donate. I would also love a date stamp and ink pad too. I don't know if there's something you'd like me to write up about my school - just let me know. Thanks again. 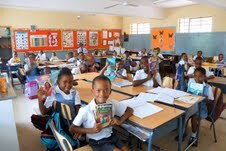 Now everyone in the school is excited about the library! 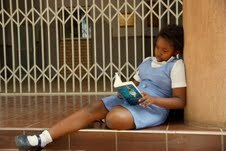 Kids in my English Club have committed to going to the primary school to read to them. 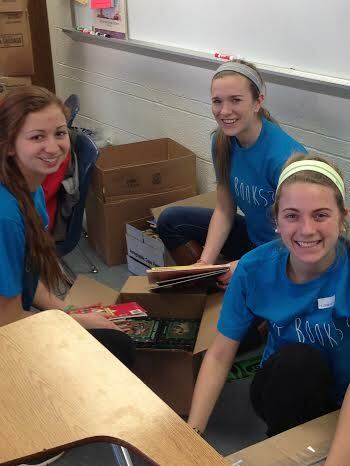 We practiced with books from you! Thanks so much, again. Hi Pam.... 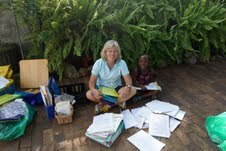 Thank you very much for the warm welcome that you gave me at Baobab School when you were distributing books You talked about the solar light you showed to me. I am preparing the requests. 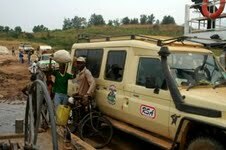 I talked about it to few villagers and students their responds was great hope to hear from you soon so that I can send you pictures. 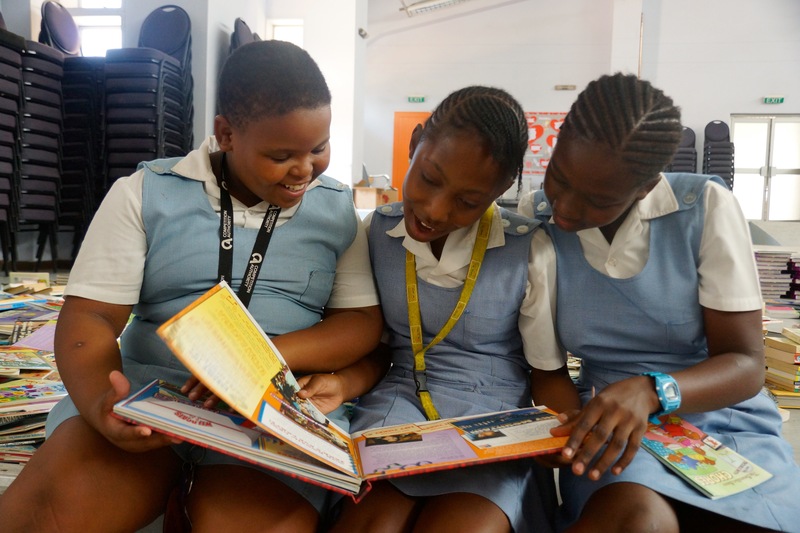 My last day in Botswana, I stopped in at Baobab School to say goodbye…I visited the newly stocked library where students were busy enjoying new books. 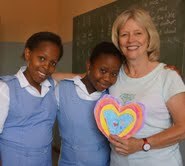 I was invited to the Standard 5 and 6 classrooms where the students had written letters of thanks for the books. 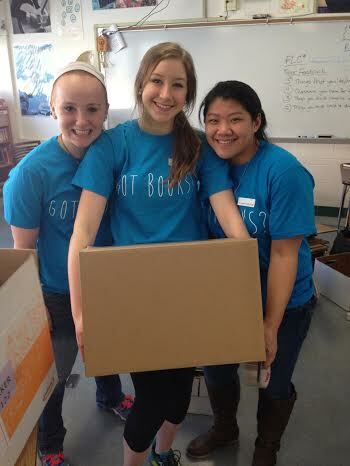 Until next year, book lovers!